Low maintenance – This roof will resist dirt, debris, mold, mildew, algae, chemicals, and fading from UV rays. You can expect it to look beautiful for decades without requiring hours of maintenance. 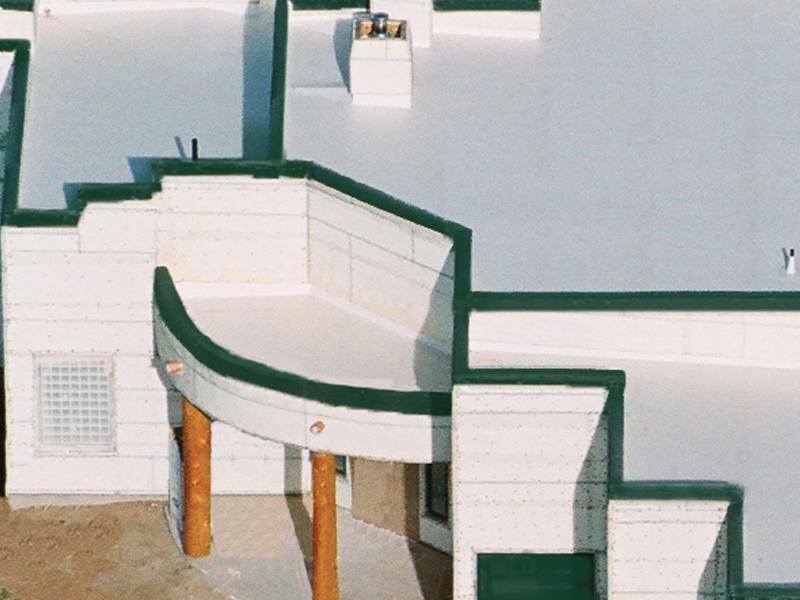 Durable – This roof is made from a composite layer of PVC membrane, a reinforced colored single-ply that has a printed architectural shingle pattern on top and durable elements on the bottom. You won’t have to worry about wind, rain, hail, or other inclement weather causing the roof to fail or be permanently damaged. Beautiful – You’ll have the beautiful look of an architectural shingle design for your roof, making your home the envy of the neighborhood. Along with flat roofs for residential properties, we can also install this roofing system on commercial properties. A commercial flat roof can be fabricated with a myriad of useful accessories, including fan units, HVAC units, skylights, scuppers, curbs, vents, drains, and more. Best yet, these accessories can be custom sized to the exact fit of your building.